This illuminating vanity mirror by Beldray is a must-have item for any dressing table, bedside table or bathroom. With its fabulous swivel design, the rotating mirror has one normal reflective side, plus one side with 5 x magnification for an enhanced detail close-up. Perfect for shaving, tweezing and applying makeup, with this mirror you are guaranteed to get flawless, even coverage every time. 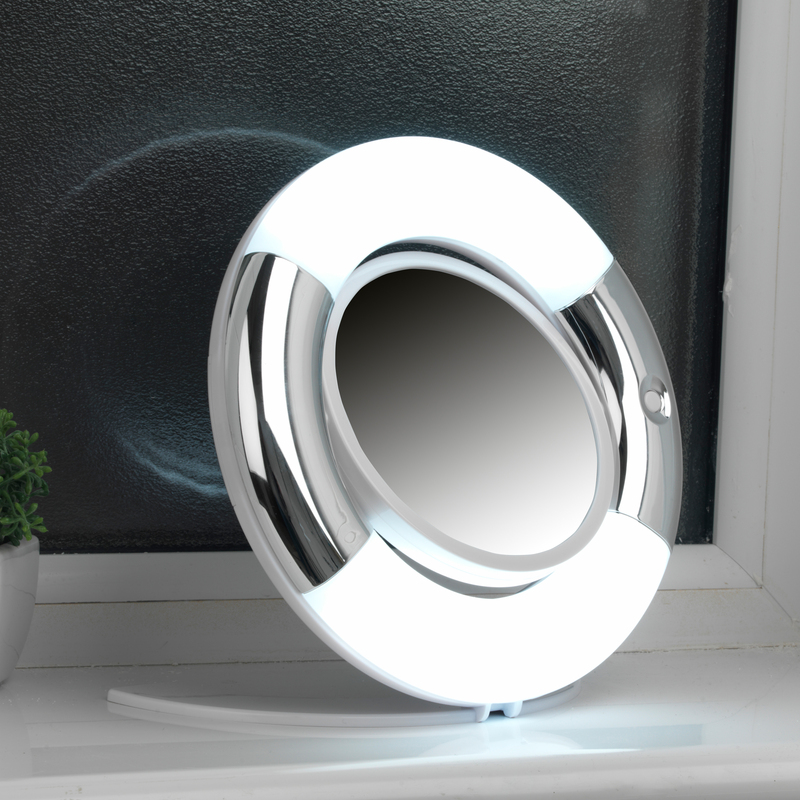 The white LED light is simply battery operated and adds a Hollywood feel to your daily routine. 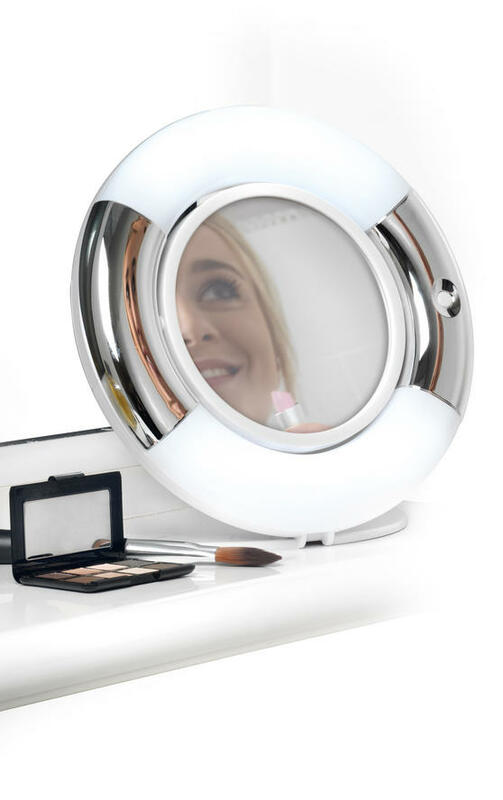 No skincare or beauty regime is complete without the Beldray LED vanity mirror, the perfect gift that any avid beauty lover will adore. The mirror rotates 360 degrees with one side having a 5 x magnified reflection in exceptional detail for focusing on smaller features. The battery operated table mirror is ideal for trips away or moving around your home, with a folding stand for easy storage or travel. The LED light reflects how your face looks in natural light, combined with magnification you will always be ready for your close up. Great for shaving and tweezing, with this vanity mirror your will never miss unwanted hairs and can view your skin in vivid detail.